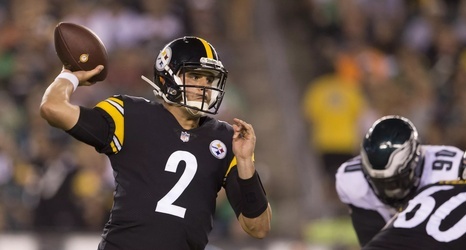 The Steelers opened their preseason schedule on a high note with a 31-14 win over the Super Bowl Champion Eagles in Philadelphia last night. Of course, these games don’t register in the regular season standings, but what happens during these contests is paramount in shaping the team. It also might be the difference between continuing one’s dream as an NFL player or having to start from scratch or perhaps begin the search for their life’s work. Grading games like this is an extremely difficult task. Four quarters of work is hardly enough to tell the story, but it’s a start.